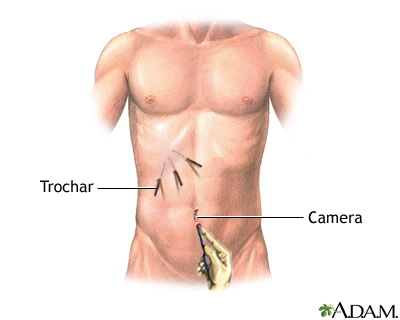 Laparoscopic surgery is a surgical technique in which short, narrow tubes (trochars) are inserted into the abdomen through small (less than one centimeter) incisions. Through these trochars, long, narrow instruments are inserted. The surgeon uses these instruments to manipulate, cut, and sew tissue.